A United States deputy marshal had been in contact with Wuester and convinced him to surrender, the sheriff's office said. 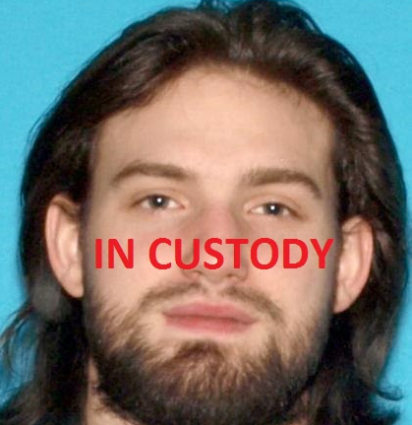 Another New Jersey man, Frederick Gaestel, 27, of Clifton, is still on the lam along with three others who are wanted in the killing. Wuester was being held on $650,000 bail at the county jail. Wuester was also found to have felony warrants out of New Jersey and Virginia, both for drug-related offenses. All five had been hired by Jeffery Settler to trim marijuana into a sellable product. Authorities said the suspects knew Settler, 35, kept a large amount of marijuana near his bed. Settler was operating a commercial marijuana growing operation in Laytonville, Calif. on a remote property along a dirt road about five miles from Highway 101. The quintet violently assaulted their boss, stole about 100 pounds of marijuana and fled in two cars believed to be headed to Southern California or out of state, the sheriff's office said. Authorities also said Wednesday they are seeking three more people — bringing the total number of suspects to eight. None of the newly named people sought have New Jersey ties. Laytonville, a town of about 1,200, is 160 miles north of San Francisco.